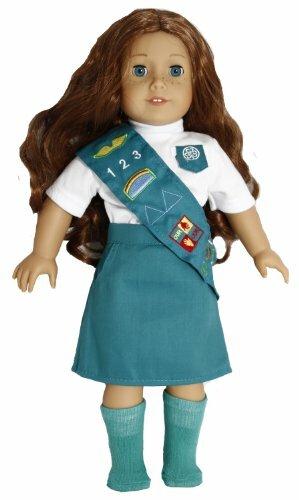 Would you like your doll to accompany you to your next doll club meeting? This outfit will make sure she is ready! This outfit comes with a white t-shirt with club badge, green skirt, sash with embroidered badges and matching green socks.